Colorado is my home state. 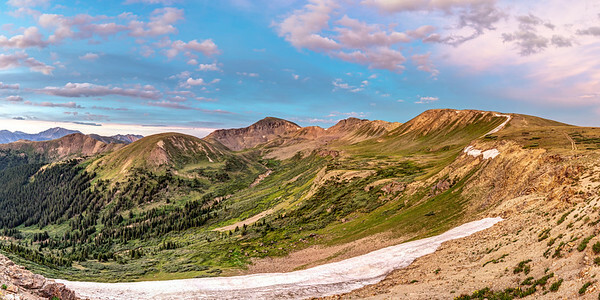 Home to 53 mountains over 14,000 feet tall, and some of the most beautiful, easily-accessible nature I've ever experienced, it's a photographer's paradise! 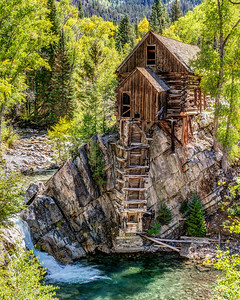 Mountains, lakes, and wildlife abound. I grew up in Colorado, and even lived in Denver for a short stint from 2006-2008, and yet, it took me until late 2018 to get a good photo of the beautiful city skyline. I took this photo on a fairly cold night in November, which helped to keep the air clear, and it was taken early enough in the evening that many of the office towers still had a fair number of interior lights on. The city has grown tremendously in the past couple decades, and it will be interesting to take another photo from the same location in another decade or so, and see how different the skyline looks then! 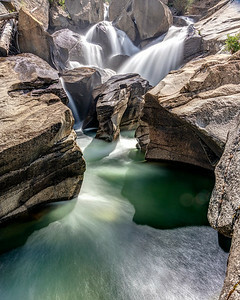 Available in the following sizes (Panorama C): 30x10, 36x12, 48x16, 48x16 Triptych (3 x 16x16), 60x20, 60x20 Triptych (3 x 20x20), 72x24, 72x24 Triptych (3 x 24x24), 90x30, 90x30 Triptych (3 x 30x30), 108x36 Triptych (3 x 36x36), 126x42 Triptych (3 x 42x42), 144x48 Triptych (3 x 48x48). I've spent quite a bit of time in Canada – known for moose – but to this day, I think portions of the Rocky Mountains remain the best spot I've found for seeing and photographing moose. 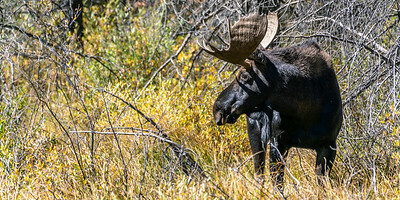 I found this young bull moose while out photographing the aspen trees near Crested Butte in the fall. I spent an hour or so watching him wade through the meandering rivers and ponds in the area, and had a great time photographing him. 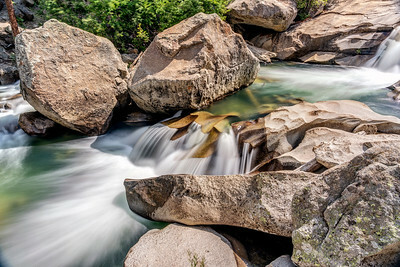 Available in the following sizes (Panorama A): 20x10, 24x12, 32x16, 40x20, 48x24, 48x24 Triptych (3 x 16x24), 60x30, 60x30 Triptych (3 x 20x30). I've spent quite a bit of time in Canada – known for moose – but to this day, I think portions of the Rocky Mountains remain the best spot I've found for seeing and photographing moose. 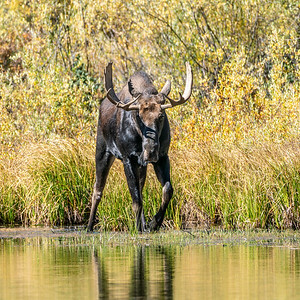 I found this young bull moose while out photographing the aspen trees near Crested Butte in the fall. I spent an hour or so watching him wade through the meandering rivers and ponds in the area, and although it looks in this photo that he might be considering charging me, I never actually found his behavior to be at all aggressive. I made sure to keep my distance, and had a great time photographing him. Available in the following sizes (Square): 10x10, 12x12, 16x16, 20x20, 24x24, 30x30, 36x36, 42x42, 48x48. 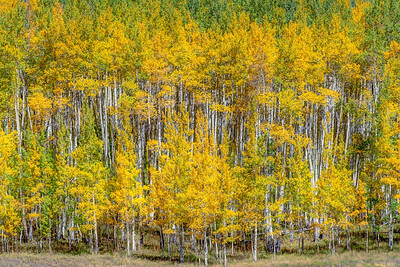 Kebler Pass, which runs west from Crested Butte, Colorado, through Gunnison National Forest, is a (mostly) gravel road that, because of its elevation, is closed in the winters. 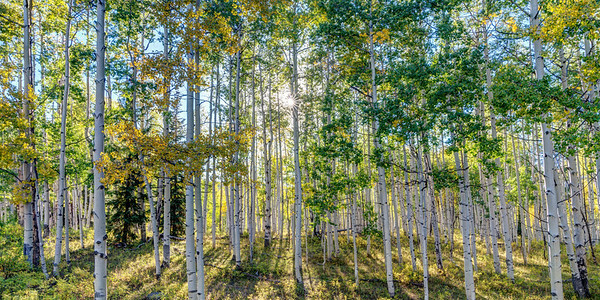 Between late spring and fall, however, it is accessible by any vehicle, and allows those who are interested the opportunity to see some of Colorado's most beautiful aspen groves. 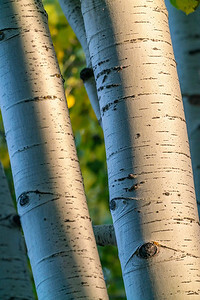 I took this photo shortly before sunset, when the leaves of the aspen trees between those shown here and the sun filtered the light in a unique way, that gave these aspen trunks something of a surreal look. Available in the following sizes (Rectangle B): 8x12, 12x18, 16x24, 20x30, 24x36, 30x45, 40x60, 48x72. 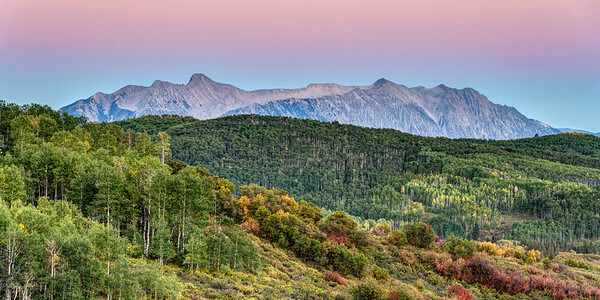 Kebler Pass, which runs west from Crested Butte, Colorado, through Gunnison National Forest, is a (mostly) gravel road that, because of its elevation, is closed in the winters. 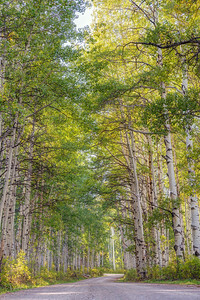 Between late spring and fall, however, it is accessible by any vehicle, and allows those who are interested the opportunity to see some of Colorado's most beautiful aspen groves, such as the one shown in this photo. 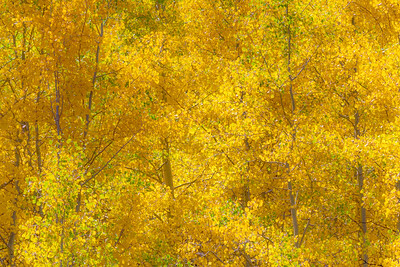 In the autumn, when the leaves turn yellow, the area is especially beautiful. Available in the following sizes (Rectangle B): 8x12, 12x18, 16x24, 20x30, 24x36, 30x45, 40x60, 48x72.